As some of you might know I am an introvert. And as an INFJ, I need lots of alone time to recharge. I like setting goals and I like to continually work on myself. Going back to say 3 years ago I had an idea of Matt’s Motivational Monday blog. 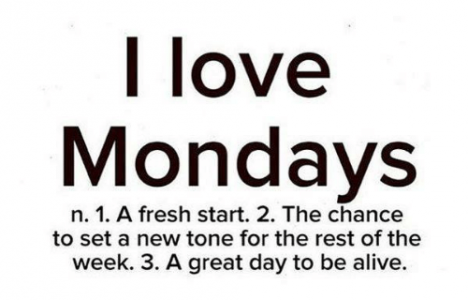 I had an idea that every Monday I would post some inspirational, motivational, helpful information, quotes and ideas. And along the way that has turned into this email list and this blog and a Facebook group. And it has turned into me having an outlet to share my ideas and share my life in this format. Change takes a long time. It does not take 21 days to break a habit. It takes more like 66 days to 90 days to really make it stick. My friend Tim Kaderli put it like this: The only real limits on what you can do or be or have are the limits you accept in your own mind. You should know that YOU have within you, right now, all the talents and ability you could ever want or need to achieve any goal or dream you can set for yourself. The only question you have to is “how badly do I want it?” If you want anything badly enough and you’re willing to persist long enough nothing can stop you from achieving it. Determine what want and then take action. 1) My life is an adventure worth living. 2) I am willing to try new things out of my comfort zone. 3) Amazing things can happen for me if and when I put my heart and soul into my dreams. Previous Post Happy Monday! TGIM!